Driving down a side street in Hyde Park, I saw this marquee out out of the corner of my eye… once it registered, I threw my car in reverse (making sure no one was behind me, of course) so I could get a better look. The sign makes me happy in so many different ways, there is so little and so much weight with the statement and absolutely fitting for Why We Love Austin. 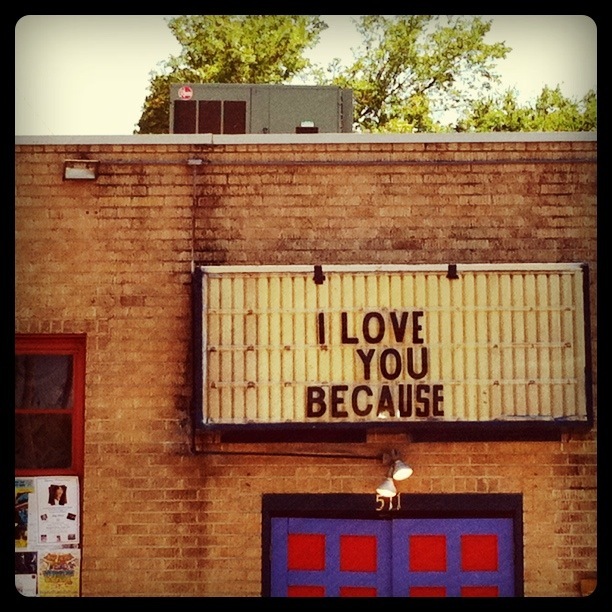 We love Austin simply because.